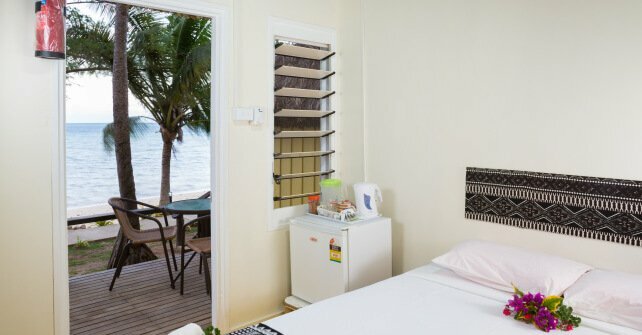 If you are looking for affordable options in a comfortable and modern setting then Funky Fish Surf Resort is perfect choice. All the famous surf breaks are no longer than a 30 minute boat ride away. Accommodation starting at just FJD$55 per night! FREE Wi-Fi! 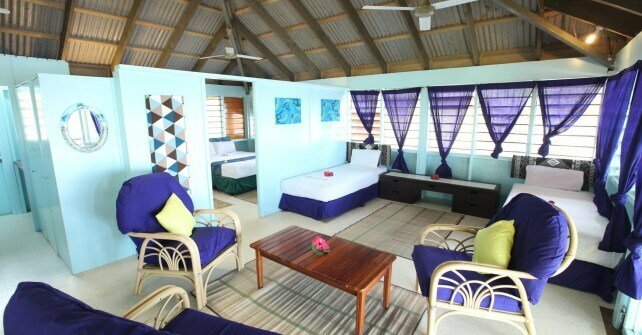 These traditionally thatched 1 bedroom beachfront bure’s feature a private open air shower and offers double or twin bedding. Features include: private decks on the beach, bar fridge, ceiling fans, tea and coffee making facilities. FJD$412 for two adults per night or FJD$317 for a single, per night. 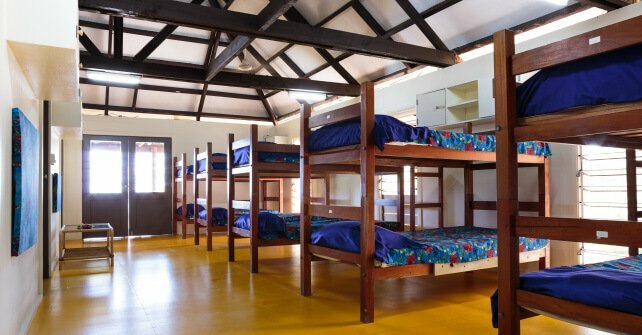 The surfers dorm has accommodation for ten adults, with shared facilities. The dorm is cooled by ceiling fans throughout. The surfers dorm is only meters from the swimming pool and beach. Prices start from FJD$55 per adult per night. 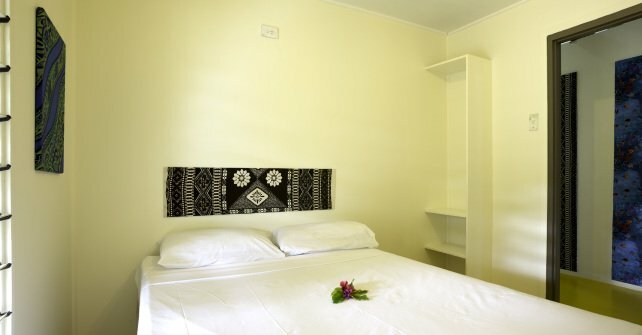 These good sized rooms allow you to enjoy the dormitory spirit but offer you the peaceful seclusion for privacy. These private room have shared bathroom facilities. The private rooms are close to the swimming pool and only 40m from the beach, perfect for the budget conscious. Private Rooms contain one ceiling fan. 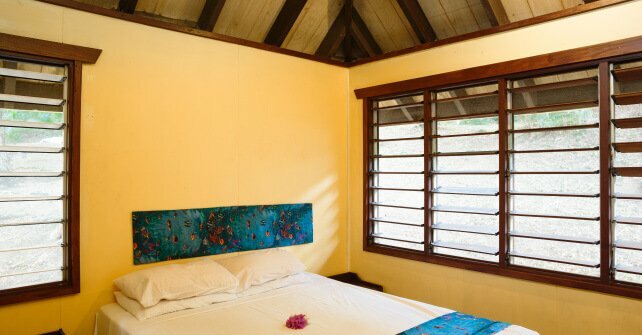 The rooms are located on the hillside with magnificent views of the surf! 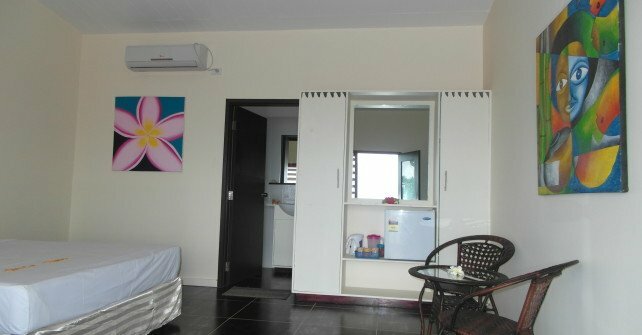 Features Include: Fan cooled, air conditioned, bar fridges, tea & coffee making facilities. A special feature of these Bure’s are the concertina sliding doors that open to a great private deck only meters from the beach. Features Include: Private decks, fridge, tea, coffee making facilities, ceiling fan cooled. Our largest Bure with concertina sliding doors which open up to a fantastic private deck that is only metres from the beach. Features Include: Private decks, fridge, tea & coffee making facilities. Ceiling fan cooled.